INET-CASH provides appropriate solutions for every partner, from membership accounting, shop solutions and custom gateways to affiliate solutions, risk management tools and much more. A full range of services from a single source. You provide a protected user's area on your server, accessible via paid membership. Once a user has made his payment, he receives his personal access data onscreen and by email. In addition, his access data is stored on your server. An application programming interface (API) for managing billing for your web sites. The payment data is input directly on your web site instead of using INET-CAS's payment forms. This process is also supported by payment approval status information from the backend to your accounting. Your own affiliate program for your web sites, including full accounting and settlement to your affiliates, based on percentage, fixed or 'per lead' commissions. INET-CASH provides appropriate solutions for every partner, from membership accounting, shop solutions and custom gateways to affiliate solutions and risk management tools. INET-CASH offers a wide range of common national and international payment options from a single source and managed by a single system. INET-CASH offers a range of additional services to keep your billing process as efficient as possible. INET-CASH also has appropriate tools and systems available to reduce your financial risks to a minimum. INET-CASH can assist you in acquiring your own merchant account for accepting credit card payments in your company's name. Please contact us for further information. 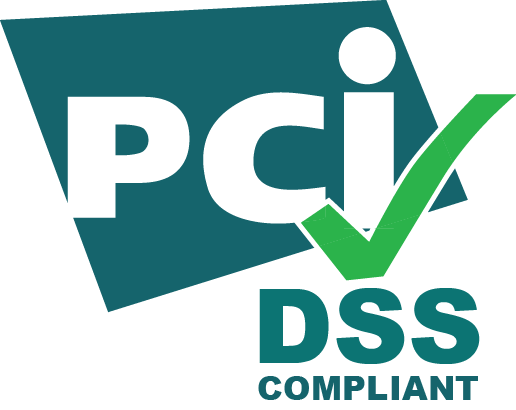 INET-CASH offers you a full PCI-certified solution and fulfill the highest safety requirements and directives for credit card payment processing.